New York, April 6, 2010-More than 3,500 concerned people from around the world-including prominent international journalists, writers, and press freedom leaders-are petitioning Iran's Supreme Leader, Ayatollah Sayed Ali Khamenei, to immediately release dozens of journalists, writers, and bloggers currently imprisoned in the country. Among those who have signed the petition are Martin Amis, Jon Lee Anderson, Margaret Atwood, E.L. Doctorow, Jonathan Franzen, Thomas L. Friedman, Nadine Gordimer, Gwen Ifill, Ahmed Rashid, Jon Stewart, and Mario Vargas Llosa. A coalition of free expression organizations delivered the petition today to the Islamic Republic of Iran's Permanent Mission to the United Nations in New York. 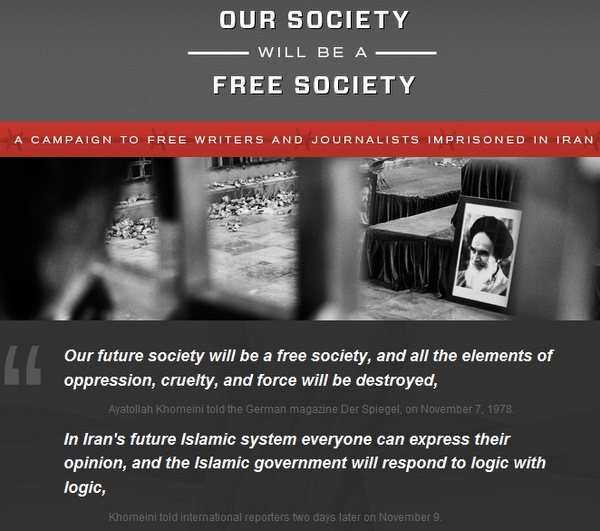 Petitioners' names were collected through Facebook and the "Our Society Will Be a Free Society" campaign, a coalition project dedicated to winning the freedom of all journalists jailed in Iran. Additional names of prominent petitioners can be viewed on the campaign Web site. "We hope those in jail will be heartened by this level of international attention," said Joel Simon, executive director of the Committee to Protect Journalists, one of the sponsors of the petition drive. "By collecting these names from all corners of the world, we want to convey to our imprisoned colleagues the depth of our concern and to Iranian authorities the depth of our outrage." The petitioners urge Ayatollah Khamenei to release all journalists, writers, and bloggers now behind bars and to uphold the pledge of his predecessor, Sayyed Ruhollah Mousavi Khomeini, who said in 1978 on the eve of the revolution: "Our future society will be a free society, and all the elements of oppression, cruelty, and force will be destroyed." At least 34 journalists were jailed in Iran on April 1, according to CPJ research. Another 18 were free on short-term furloughs coinciding with the Iranian New Year, but were expected to report back to prison this week. 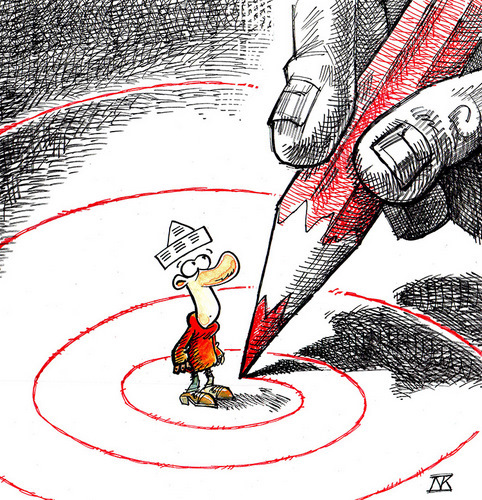 CPJ has been conducting a monthly census of journalists jailed in Iran, now the world's worst jailer of the press. The petition effort was organized by a coalition of 16 international free expression groups: CPJ; Index on Censorship; Reporters Without Borders; PEN American Center; International PEN; Canadian Journalists for Free Expression; International Publishers Association; Article 19; World Association of Newspapers and News Publishers; International Federation of Journalists; National Press Club; World Press Freedom Committee; Observatory for the Freedom of Press, Publishing and Creation; Institute of Mass Information; International Women's Media Foundation; and Freedom House. Those interested in joining the petition may still do so by visiting the "Our Society Will Be a Free Society" campaign at www.oursocietywillbeafreesociety.org.